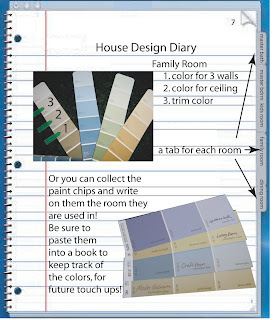 Here is an easy way to organize your home design, a house design diary. This is as simple as picking up a spiral or composition notebook, you probably have a partially used one lying around the house somewhere. Get yourself a few post it notes, a pen, and you are ready to get started! • label them with the names of each of the rooms in your house; for example the dining room, family room, or little Lauren's room. Making a diary of the paint colors used in your home will be a great reference tool. You can store the paint colors, paint brand and paint finish in this booklet. As you give a room a new coat of paint, write it down in your handy diary. How many of us look at the stairwell in our homes, where everyone's hands ride up the wall, and wish we could remember the color used so we can touch up the area in the middle where you can see all the fingerprints? How about the many times you see photos in a design magazine that would work great in your house? Tear these magazine pages out and paste them into the section of your new diary to save the ideas for future reference. 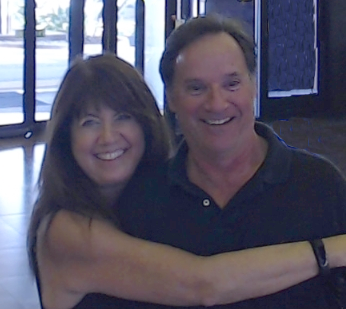 • window and door dimensions- also helps with figuring out how much paint or wallpaper is needed, as these dimension will need to be deducted from the total room dimension - but also great when shopping for window treatments! • even a graph paper layout of the room! A house design diary is a great reference tool!